Interested in taking on a challenge for SNAPS? Take your pick from our upcoming events and contact jenny@snapsyorkshire.org to find out more. Following last year’s success, SNAPS have once again taken places in the Leeds Half Marathon! 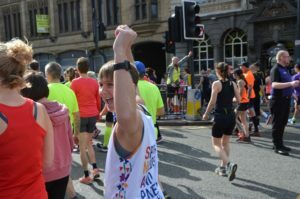 This is the perfect challenge for a seasoned 10K runner looking to up their distance or if you’re looking for a big fundraising challenge for 2019. We have 5 early bird places available, so apply early to avoid disappointment! 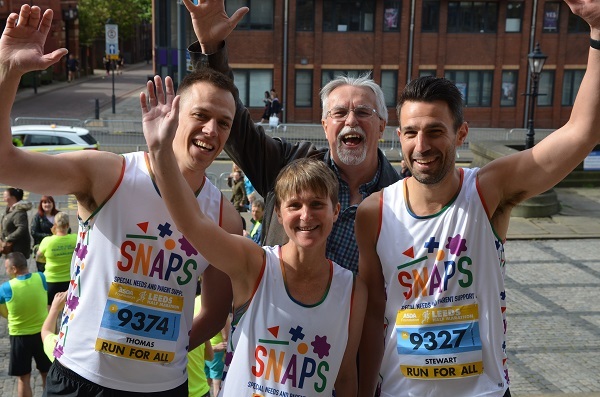 To apply for SNAPS places in the Leeds Half Marathon, email jenny@snapsyorkshire.org or call 07534 972 384 to request an application form. 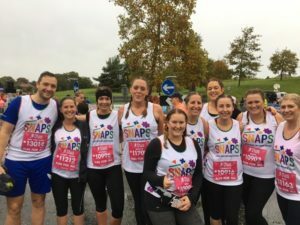 Join Team SNAPS for this local 10K to raise money for our vital services! This event is the ideal challenge for a first-time runner or if you’re looking for motivation to get fit and healthy. We have 10 early bird places available, so apply early to avoid disappointment! To apply for SNAPS places in the Leeds 10K, email jenny@snapsyorkshire.org or call 07534 972 384 to request an application form. Conquer the Yorkshire Three Peaks for SNAPS! Take on this iconic challenge to raise much needed funds for children with additional needs and their families. We have 10 places available, so apply early to avoid disappointment! Your place includes entry to the challenge, fundraising support and a SNAPS supporter T-shirt! To apply for a SNAPS place in the Yorkshire Three Peaks Challenge, email jenny@snapsyorkshire.org or call 07534 972 384 to request an application form. Can’t make it on 1st September? Speak to us about arranging your own Yorkshire Three Peaks Challenge! 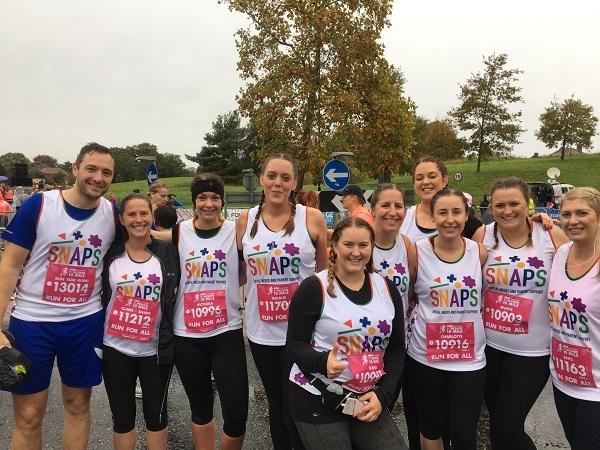 This is the biggie – for the first time ever, SNAPS has secured places in the Great North Run! Looking to tick this off your bucket list? Now is your opportunity! We have 5 places available to give to 5 lucky fundraisers. We are looking for people who are dedicated, enthusiastic and full of fantastic ideas to raise as much as possible for SNAPS. Please contact jenny@snapsyorkshire.org or 07534 972 384 for an application form. Completed forms should be returned to jenny@snapsyorkshire.org by 5pm on Sunday 31st March. Forms returned after this time unfortunately cannot be considered. You will be informed whether your application was successful or not by Friday 5th April. We would love it if families taking part in this event could raise enough to sponsor a SNAPS session (which is just £40). Save the date! Join us for our first ever Superhero Zoom, an accessible event giving children of all abilities a chance to feel like a superhero for the day! Tickets are available now – each child will need a ticket, parents and carers go free. Work for a local school? They’re welcome to join in, or you could host your own Superhero Zoom! Click here to join the Facebook event for further updates, or get in touch with jenny@snapsyorkshire.org for more information. Feeling brave? Go ahead and Skydive for SNAPS! You can book onto any of the available dates at Skydive Hibaldstow for a tandem skydive. Just contact jenny@snapsyorkshire.org to discuss a date for your skydive. You can go it alone or get a group of friends together to take the plunge! Get a group of 20 together and you can compete to win a free Photo and Video package with your skydive! 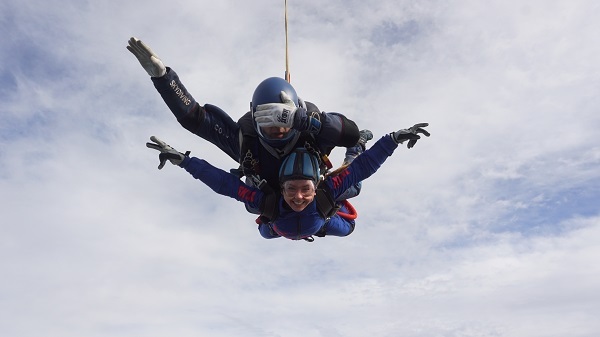 To apply for a skydive, email jenny@snapsyorkshire.org or call 07534 972 384 to request an application form. Got a good idea for a SNAPS fundraiser that you’d like to see in the calendar? Contact jenny@snapsyorkshire.org and let’s see if we can make it happen!